Thoughts/feedback welcome ... looking to give the place a more bespoke feel without using the WMU logo for obvious reasons. Looks good to me. GTS, are you doing this for every school, or did WMU make some complaint? Looks great, like a Rockwell or Remington. 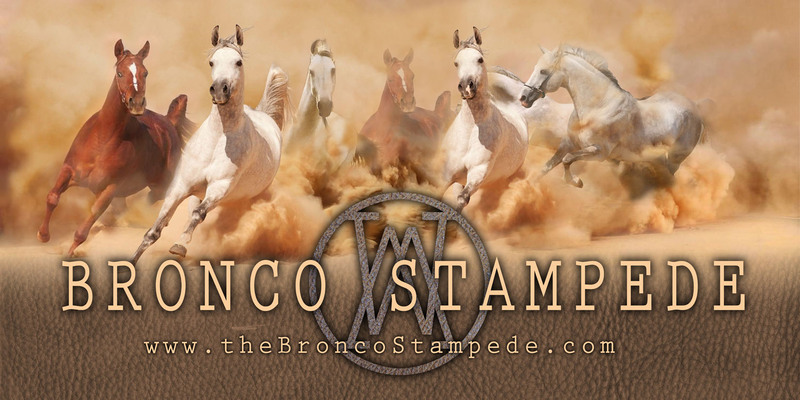 Looks like a bronco stampede to me ... only meaning I like it. As one of the few here that has actually owned horses, my vote should count double. (03-28-2019 07:35 AM)brovol Wrote: Looks good to me. GTS, are you doing this for every school, or did WMU make some complaint? The only thing this nice graphic is missing is a hapless CMU football player being run over by the horses. Other than that, looks good! I guess if we have to have something it's good. Why not keep things the same? not gonna lie, not my favorite thing but i get why we're doing it. (03-28-2019 08:41 PM)Bronco14 Wrote: I guess if we have to have something it's good. Why not keep things the same? It's just a good idea to not use the marks. Nobody has complained (other than the CLC many many years ago, who weirdly took specific objection to using the logo next to the name in the navigation). But that doesn't mean it should just be allowed to fly until it does become a problem. I don't have much graphics chops, so I have to source somebody who does. This means most of the masthead graphics you see around the site were contributed by fans and fans want the real mark obviously. But the holder of said marks usually doesn't appreciate it. So we're going clean house of the fan-art so it can be replaced with something we can actually do marketing with. Because I obviously can't send you guys posters and banners and flyers if they're using the real logo. Using the real logo it probably wouldn't even get past the printer.